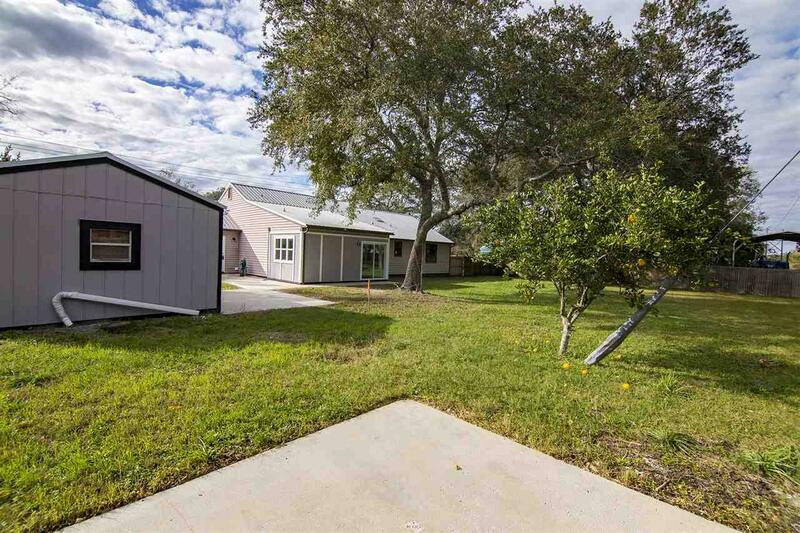 Spacious 3 bdrm, 2 bath home located in The South. 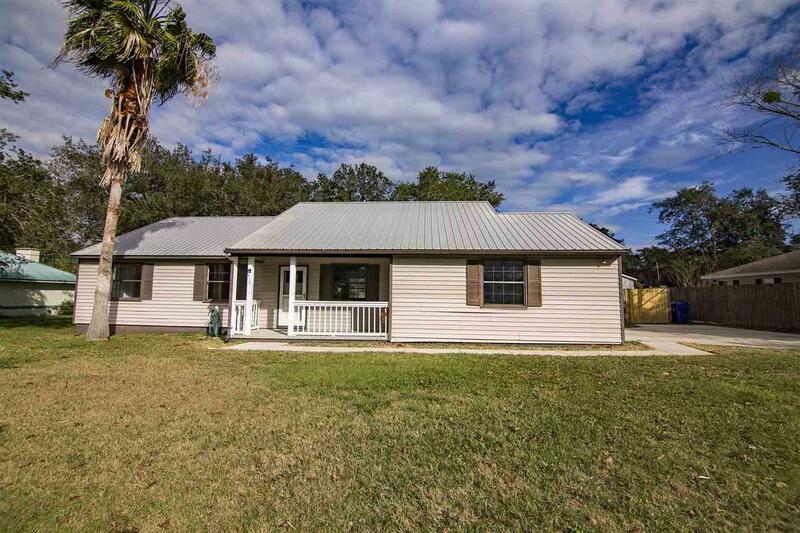 Home has a metal roof with vinyl siding. Very large kitchen with Corian counter tops w/ tile backsplash and a combo dining room that could fit a very large family style table. Extra touches include tile floors through out, crown molding, wainscot in kitchen, upgraded tile bathrooms and a 2 car garage, all on an over sized, fully fenced lot. Additional enclosed 17 x 9 room as well as a large 15 x 16 shed with full electric. 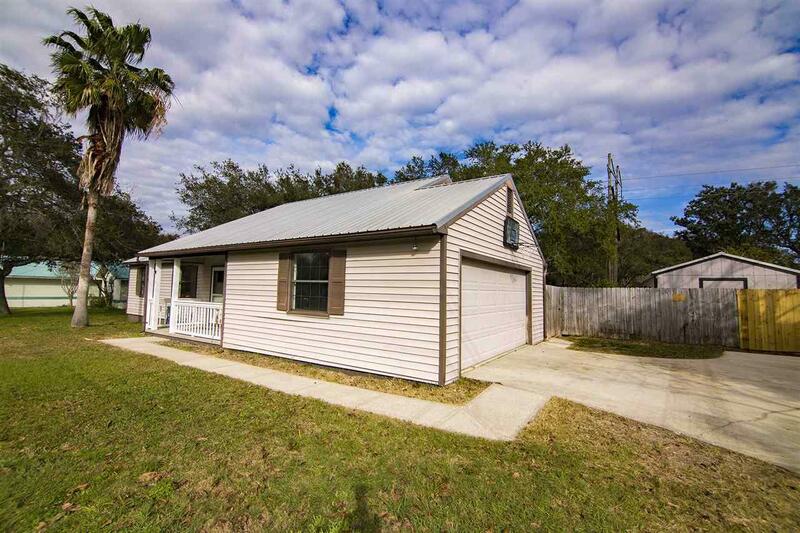 Seller just finished with having repairs made including painting inside and garage, minor tile work, light plumbing, electrical inspection with minor repairs, new back door to garage from kitchen and some exterior as needed. St Augustine South offers 2 public boat ramps to the intra-coastal along with plenty of areas for walking or riding your bike. Close to shopping centers, restaurants and easy drive to the beaches. 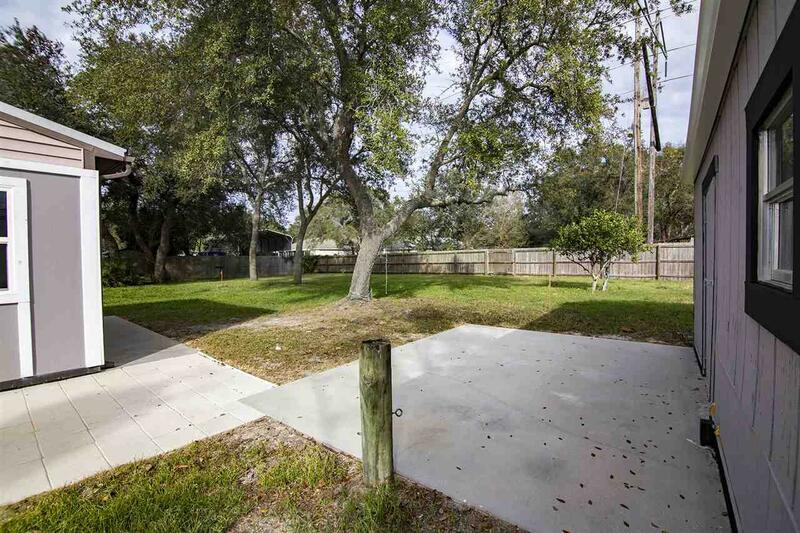 The yard includes the FPL easement which seller acquired years ago with a gate to enter from the back and fenced. Seller will also consider leasing for a year.